Inspired by the beauty and legend of the Mediterranean Pearls, a string of islands off the coast of Italy, DMK Limited™ uses natural surfactants found in olives to create this luxurious cleanser. 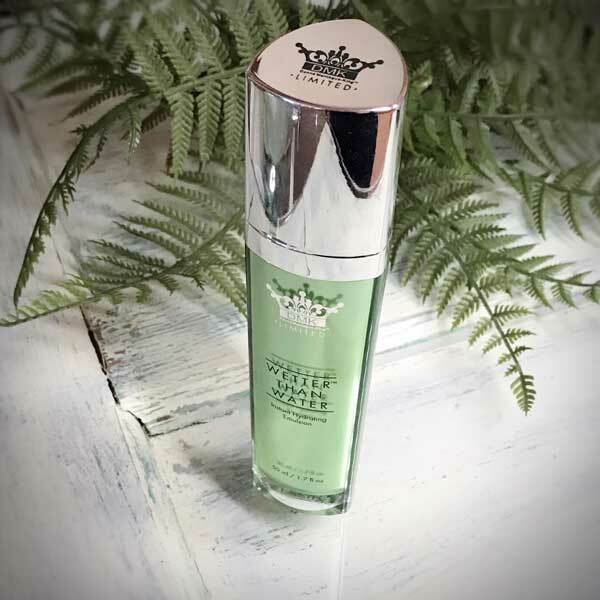 This mild cleansing gel is infused with vitamin B enriched microspheres with their reparative properties which easily dissolve as they gently buff your skin, loosening dead skin, dirt, and makeup. The mild foaming action then lifts the debris and easily rinses away leaving your skin feeling refreshed, soothed, and perfectly clean without feeling dry or irritated. A mixture of fatty acids, salts, and potassium that act as a natural surfactant, a foaming agent and thickening agent all in one ingredient. Cellulose Hydroxycellulose and Panthenyl Triacetate Forms the microspheres and are a derivative of vitamin B5 with soothing and reparative properties. Gently removes dead cells and debris in only a minute as it slowly dissolves. Never harsh or abrasive. Gently lifts dirt and debris from skin for easy rinsing. Used daily it improves skin barrier organisation and protein synthesis, leaving skin clean, soft, smooth, and hydrated. Through the evolution of skincare, serums have been promising youth in a bottle. FirMatrix™ is now delivering on that promise. 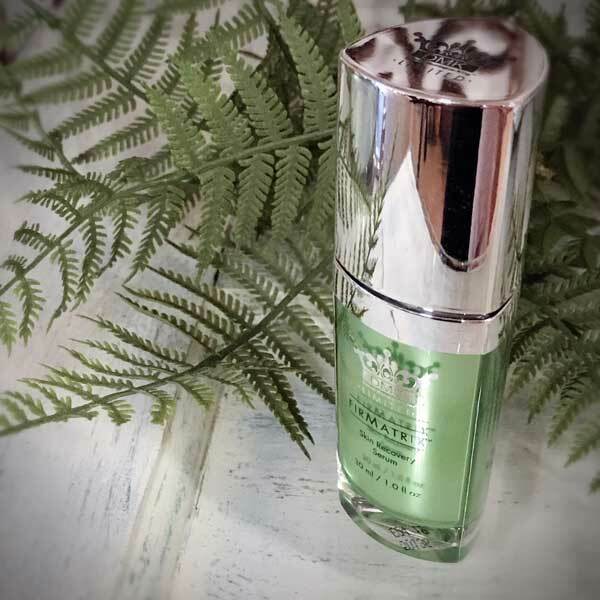 This premium skin recovery serum contains powerful botanics that utilise Bio-Homeostasis Technology™ to rebuild the epidermal matrix restoring up to five years of density. Greater density will bring firmness to loose or sagging skin giving you a more youthful, fuller look. Purest and most bioavailable form of vitamin C. Provides fibroblast support for increased collagen, plus it helps lighten and brighten the skin. Assists to discourage the enzyme known to reduce cell proliferation, allowing the cells to regenerate at a more youthful pace–improving the extra cellular matrix of the skin. The result is a reduced appearance of signs associated with skin maturation through a reduction of sagging, slackness and wrinkles. Sourced from kelp and contains different types of sugars, proteins, amino acids and vitamins, as well as minerals and trace elements. Working with the lamina of the skin, it helps restore barrier functions to the skin. This results in reduced TEWL (transepidermal water loss) and increased moisture levels in the skin. An extremely powerful antioxidant, a good source of copper, thiamin, vitamin A, folic acid, riboflavin, niacin and vitamin C.
Water is the foundation of life and DMK Limited™ has found a way to improve the natural hydrating and nourishing benefits of water for your skin with Wetter Than Water™. DMK uses a unique blend of carrier and wetting agents that allow it to be delivered into the skin almost instantly. Once there, it transepidermally releases moisture and nutrients known for their volumising, anti-inflammatory, anti-oxidant, free radical scavenging and immune boosting properties. Improves skin hydration by retaining water. Promotes normal healthy keratinocytes, growth and fibroblast adhesion for skin regeneration and wound healing. Holds water equivalent to nearly 500 times its weight. 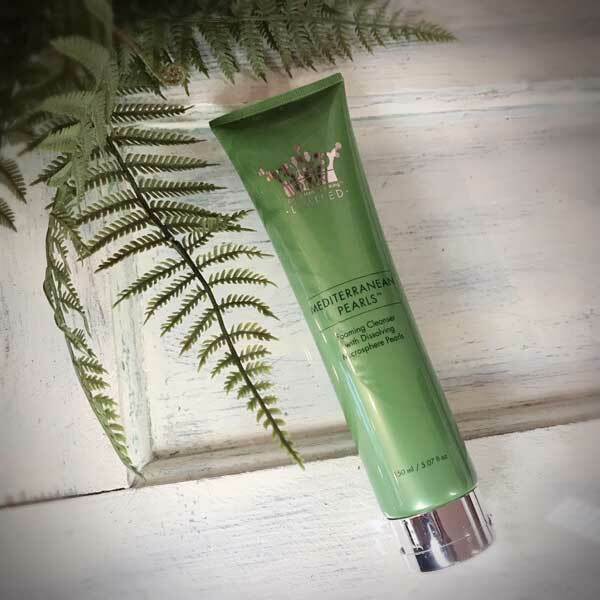 Generates a natural flexible hydration film on the skin that reinstates dry skin to its optimally hydrated state, enabling it to develop elasticity and a fit appearance. Improves skin regeneration and conditions of superficially damaged skin, soothes irritated skin, reduces redness and flaking. We may not be able to travel back in time, but we have learned how to transcend its effects on your skin. 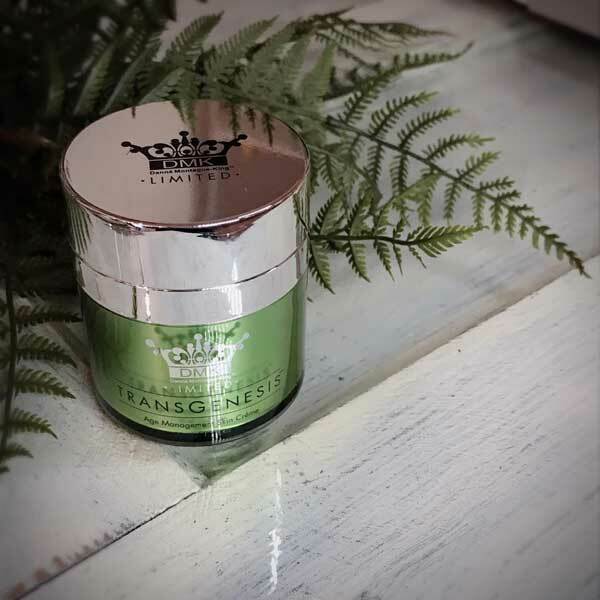 TransGenesis™ utilises advanced ingredients to target cell renewal, firmness, elasticity and moisture retention. Specific marine sourced enzymes encourage cell turnover and renewal without irritation. Multiple peptides supported with amino acids, essential fatty acids and other nutrients encourage new collagen and overall cell health. Finally, we’ve added glycosaminoglycan to help restore maximum moisture levels, filaggrin modulators to lock in moisture and beta glucan to support the skin’s immune function. From the cold fjords of Norway these enzymes deliver smoother, more refined texture as they gently exfoliate and renew skin cells. Pulls and holds water into the surface layers of the skin, reducing fine lines and giving a plumper, fuller looking skin. Provide double the peptide action, stimulating fibroblast cells and collagen production to give you firmer, tighter skin. Helps restore skin barrier functions reducing TEWL (trans-epidermal water loss) and reactive skin irritation. Supplied for cell development and to keep your skin looking healthier longer. Life may sometimes get you down, but there is no need to allow age and gravity to have the same effect on your neck and décolleté. 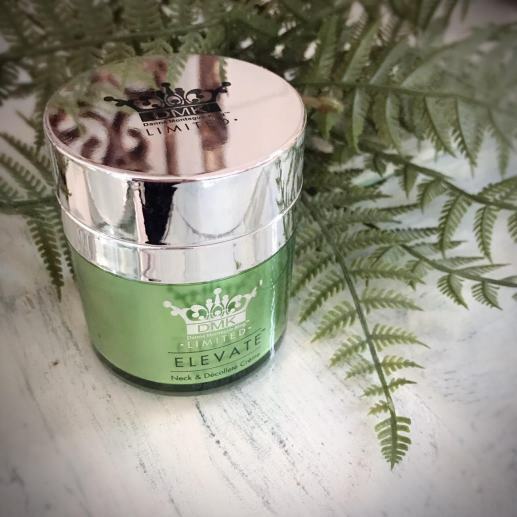 DMK Limited’s™ Elevate™ crème’s revitalising bio-energy ingredients and warming thermogenic effect, lift and tighten the neck and décolleté tissues in remarkably short time. component of the cell membrane) that make up each cell. It also aids in DNA production, fat and fatty acid metabolism, muscle formation, and the maintenance of a healthy immune system.